As a Tacori Diamond Partner, we are proud to offer the most comprehensive selection of Tacori engagement rings, all available custom made for you and in your hands within 2 weeks. That's 1-2 weeks quicker than any platinum or gold partner! 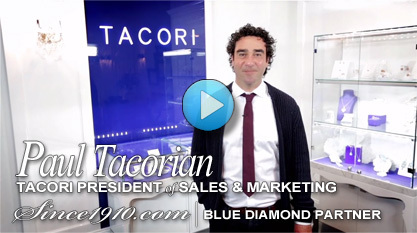 Introducing Tacori Journeys! For a limited time get up to a $5,000 travel voucher with any Tacori purchase. Click for details. Shop for Tacori Wedding Bands.